Are you frustrated by the lack of service provided by large payroll houses? Let Evans Payroll give the outstanding personalized payroll service your business deserves. With years of experience you can trust Evans Payroll to deliver reliable payroll services and Human Resource Management. 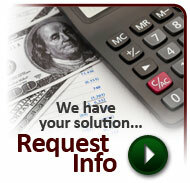 Evans offers a multitude of crucial payroll related services. From payroll checks, direct deposits and tax liability reports to Federal, State and Local tax deposits as well as weekly or monthly accounting summaries, Evans Payroll is the perfect fit for small to medium sized businesses. WITH EVANS, PAYROLL IS EASY! A multitude of customized services improve the process including: Payroll checks with your company name and logo, Checks delivered with laser signed signature , payroll customized to your company, Payroll timesheets, Payroll register, Tax liability reports, Weekly / monthly accounting summaries, Federal / state / local tax deposits, Over 100 customizable reports / checks / notices, Direct deposit for each employee in up to 5 different accounts, Data entry by email, fax or phone, Time clock system interfacing 3rd party, payment checks, Internet access for payroll reports. Get Started Today! Contact Evans Payroll today by calling (724) 934-5555, or Contact Us online. Take advantage of the convenient electronic payroll options that can reduce the excess use of paper.